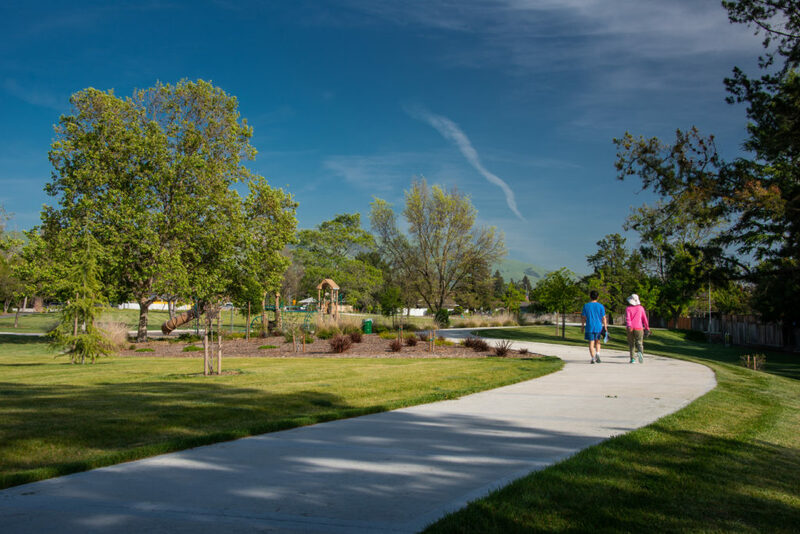 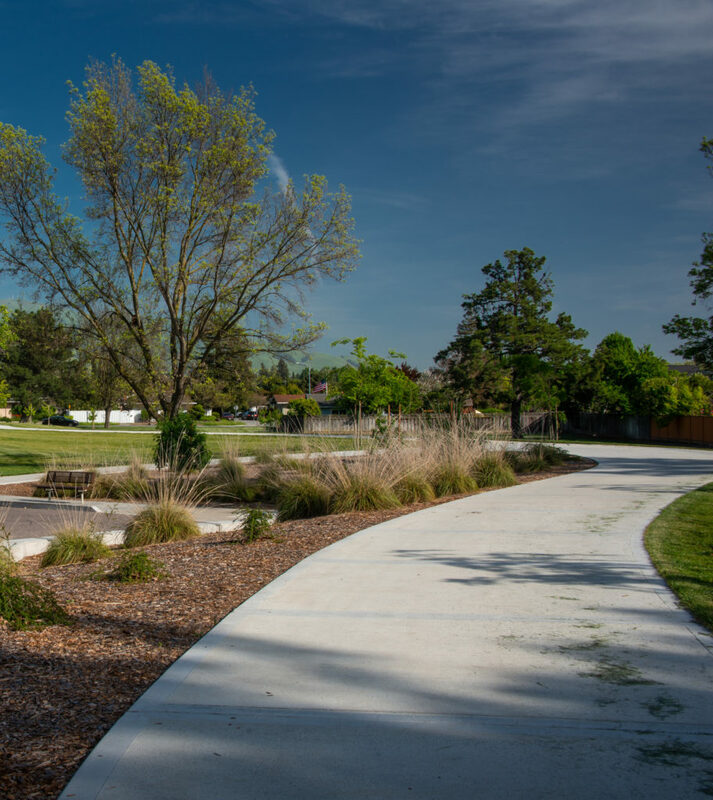 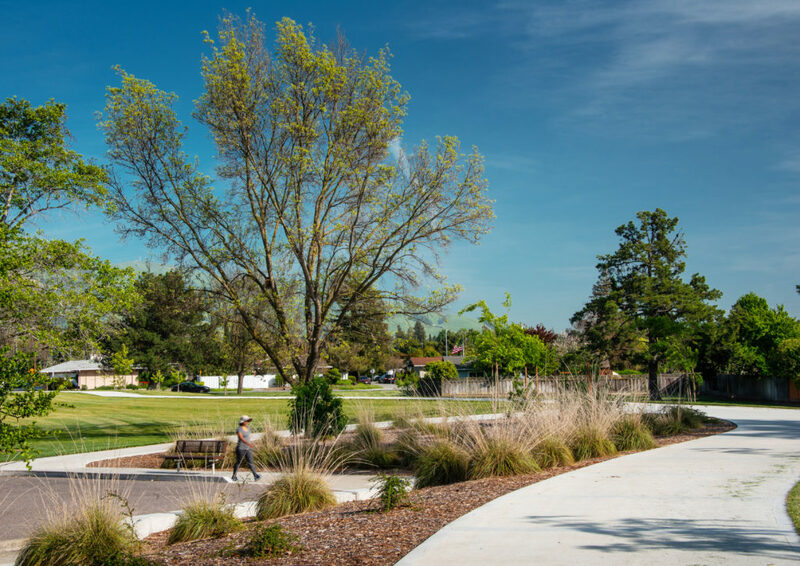 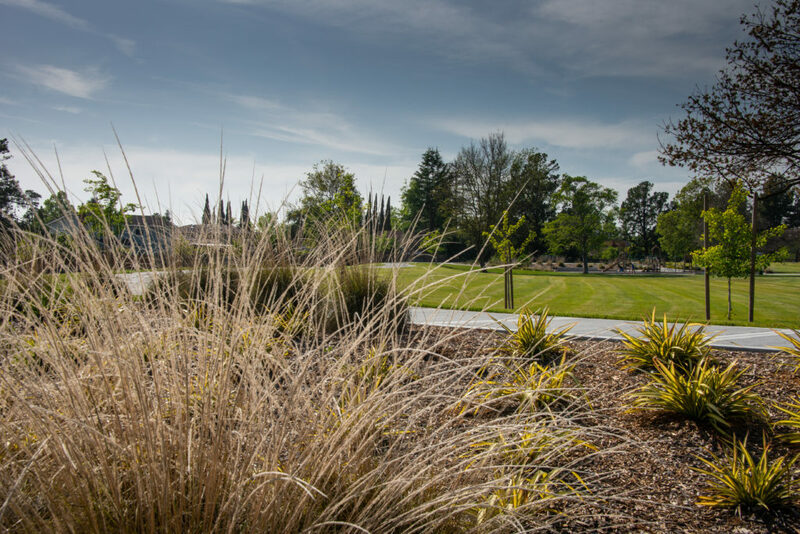 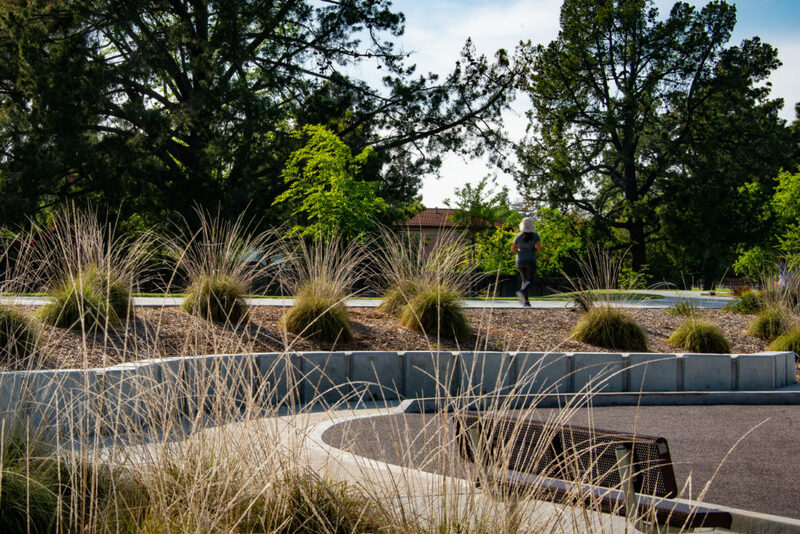 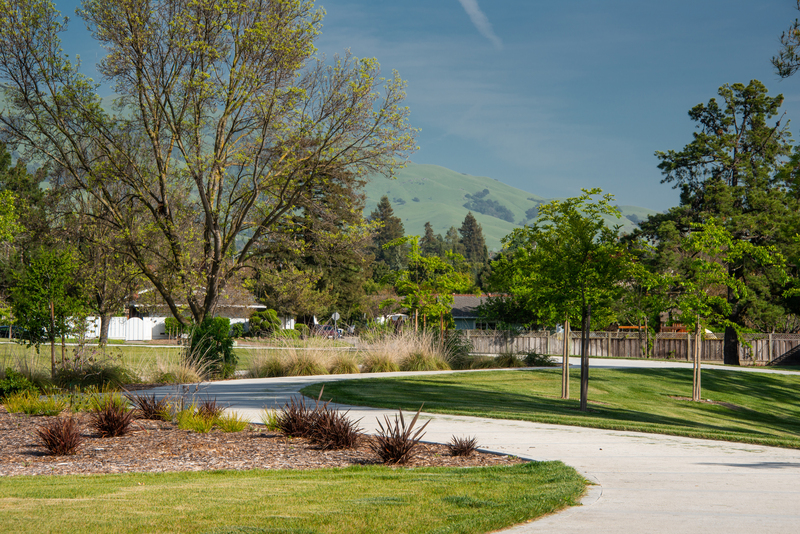 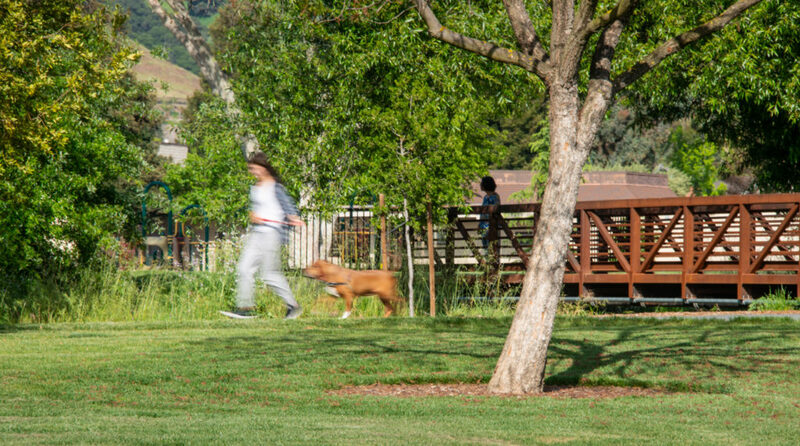 Working with Alameda County Flood Control District, PGAdesign completed renovation plans for adjacent Gomes park to Mission Creek. 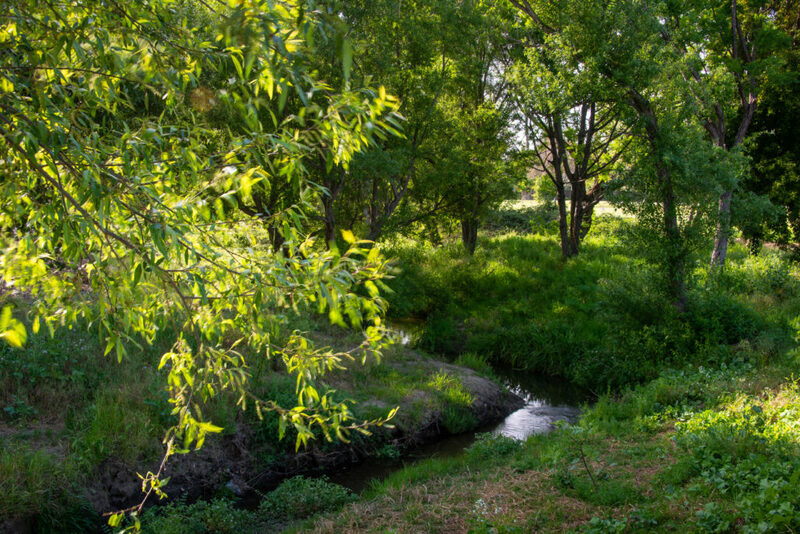 The restoration of the creek included bank stabilization and developing a series of earthen mounds in neighboring Gomes park to contain flood waters in significant storm events. 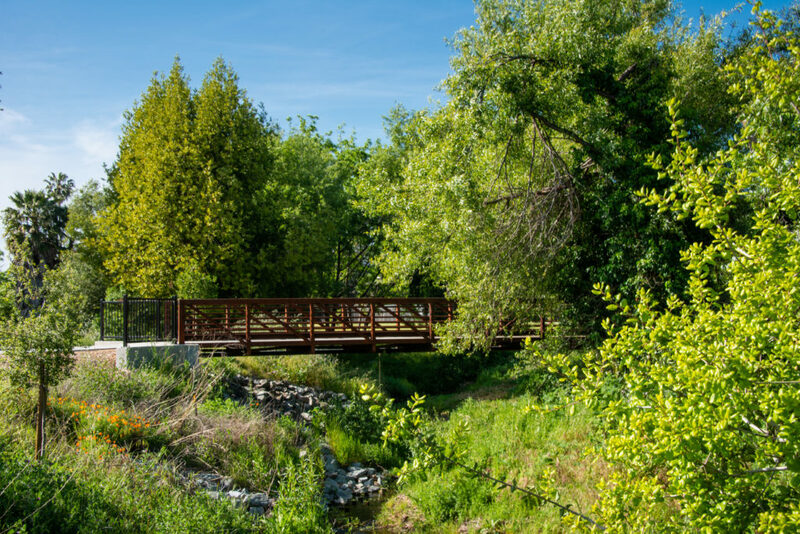 Project improvements included creek restoration, new pedestrian bridge, bike trail improvements as well as park improvements.